Curious about what other people have to say about working with Sleep Baby? Read on! When I contacted Elizabeth, I was at my wits end. My daughter was nearly 3 months old and was wanting to be held 24/7. The only way any of us could get any sleep was by having my daughter sleep on me. I couldn't do anything without holding her and if I put her down, she would scream bloody murder. After contacting Elizabeth, she was able to help me get my baby onto a sleep schedule that worked for all of us. Within a short period of time, my baby was sleeping 12 hours every night in her own space and taking naps throughout the day. My baby is 6 months old now and everyone always comments on what a happy and healthy baby she is. We've come a long way from the screaming crying infant who always wanted to be held and I owe that to Elizabeth! Elizabeth was our knight in shining armour! We went from refusing to nap or sleep in the crib, to taking 2+ hour naps and sleeping soundfully from 7p-7a every single day, all in the crib! She gave me the tools & support necessary to help my baby create healthy sleeping habits. We are forever grateful! 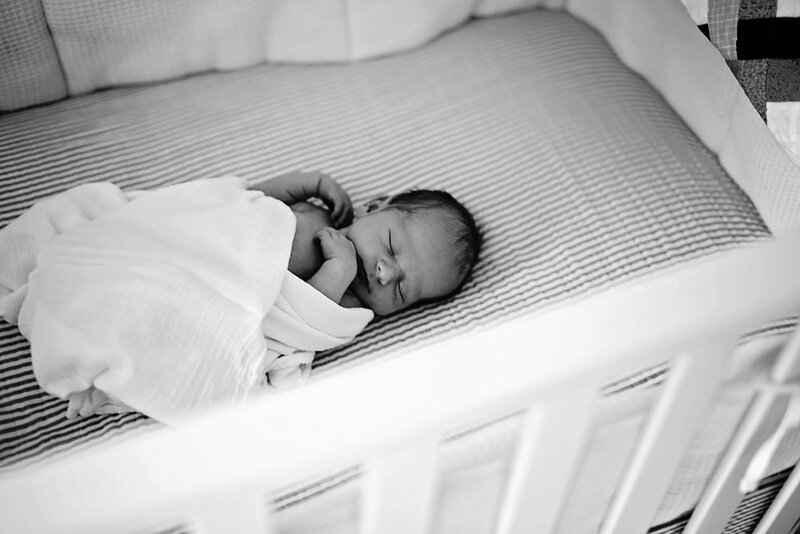 Ready to learn how we can help you and your baby start sleeping better tonight? Send us an email!